The scene is set for a very vintage Easter! 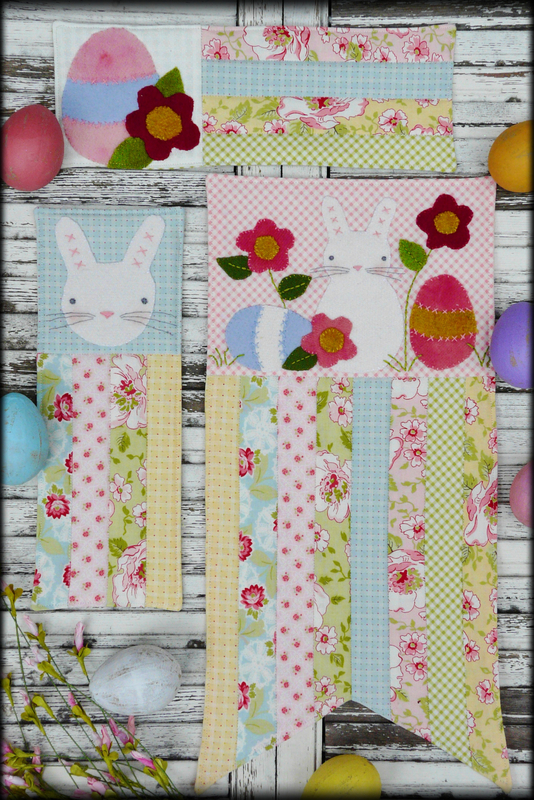 These 3 lil quilts are just perfect for your Spring Decor. 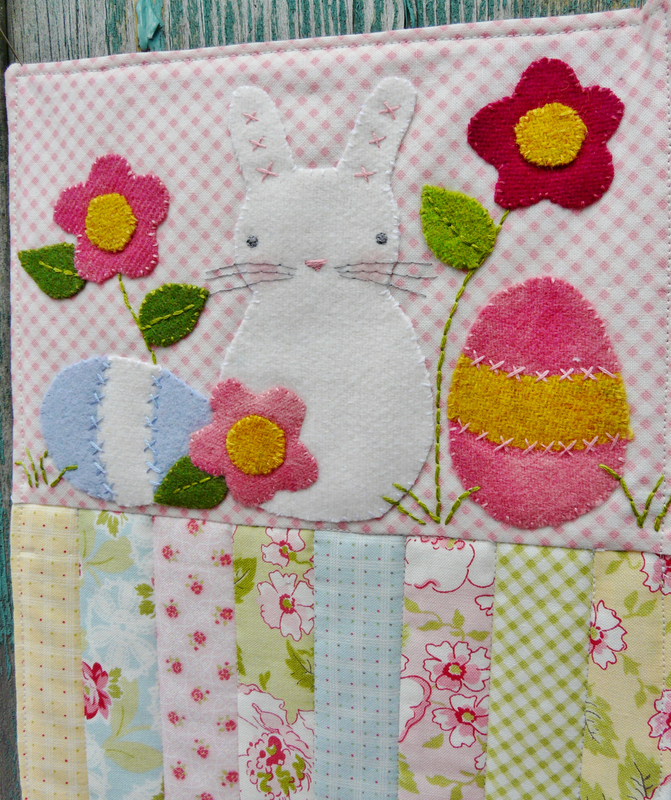 There is an egg mat, hanging banner bunny head and a Easter landscape on a larger mini quilt. All three feature wool and fun fabric. 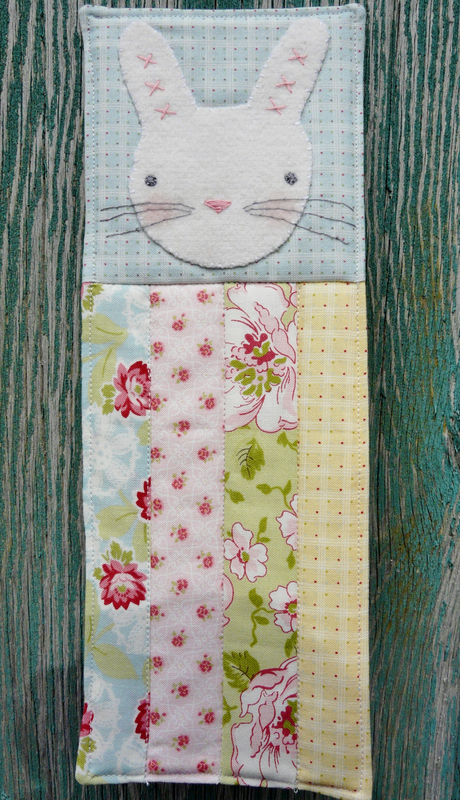 Egg mat quilt design measures: 11" x 4"
Bunny head design measures: 11" x 4"
Spring landscape measure: 16" x 7 3/4"